This entry was posted in Braces, Dental Implants, Orthodontic and tagged abutment, bone, edentulous, onplant system, orthodontic anchorage, osseointergration, palatal implant, root form implant, self tapping orthosystem implant, titanium alloy on April 30, 2012 by chzechze. This entry was posted in Braces, Dental Implants, Orthodontic and tagged direct anchorage, mature bone, mini-bone plates, orthodontic loading, orthodontic treatment, osseointergration, palatal implants, retromolar region, titanium implants, titanium miniscrews on April 29, 2012 by chzechze. 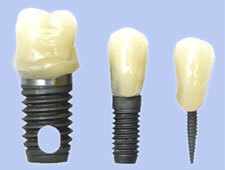 This entry was posted in Dental Implants and tagged bone, force, osseointergration, permanent crown, same day dental implants, teeth, temporary tooth, titanium post, traditional implants, zicornium abutment on April 2, 2012 by chzechze. This entry was posted in Dental Implants, Denture, Oral Care, Oral Surgery and tagged bone expansion surgical procedure, bone grating, cost, Dental implant, gum, lower denture, mini dental implant, non-invasive, osseointergration, post-surgical complications on September 17, 2011 by chzechze.